We believe that strong leaders create stronger communities. We honour the leadership of the past; value the leadership of today; and inspire leadership for the future. 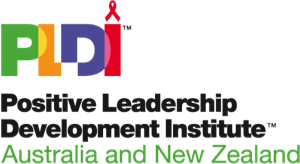 The Positive Leadership Development Institute exists with the purpose of supporting people who are living with HIV/AIDS to realise their leadership potential and increase their capacity to participate meaningfully in community life. This unique leadership workshop is run by and for people living with HIV. The course is constructed to have a maximum participation of 12 people plus 4 facilitators and runs over a weekend - Friday evening, all day Saturday (including the evening) and Sunday. Applications and nominations for participants are currently being sought for the next leadership training workshop to be held 19-21st October 2018 in Auckland, New Zealand. Please fill the details in the survey below. Applications close Friday 14th September at 5pm. All applicants are responsible for sourcing support for their attendance including financial support to get to and from their home town/city as well as course fees ($250AUD) but should contact Body Positive Inc. to discuss available sponsorship options. All other costs are covered by PLDI, including local transport to the venue, accommodation and meals. Financial assistance is available, please contact Body Positive Inc. or your local PLHIV organisation to find out more information or contact pldi@pldiaustralia.org.au for further advice and assistance. The Institute has many more applications than available spots in each course (max. 12 people per workshop). 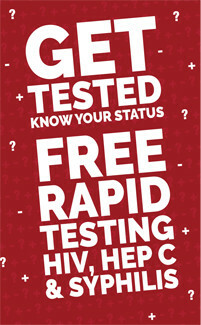 Please understand that applications are assessed upon ensuring maximum diversity of participation in each course and not all PLHIV that apply will necessarily get into this course. If you have any questions about the course or the application process, please do not hesitate to contact pldi@pldiaustralia.org.au for more information.